White Ink – Indy Imaging Inc.
White Ink is applied as a seperate layer when printed. It can be flood or spot. Spot white is when some of the print is clear (No ink applied). Flood is printed on clear material, but there is no clear visible. The white in a design is not necessarily what the white file will look like. White can be identified in artwork, preferably on a separate layer above the artwork layer, as 100% magenta. White ink is applied to specified areas on the print. To accomplish this, review the following instructions. This applies to artwork that is vector, and the steps below are specific to Adobe Illustrator. The procedure will be similar for other programs. 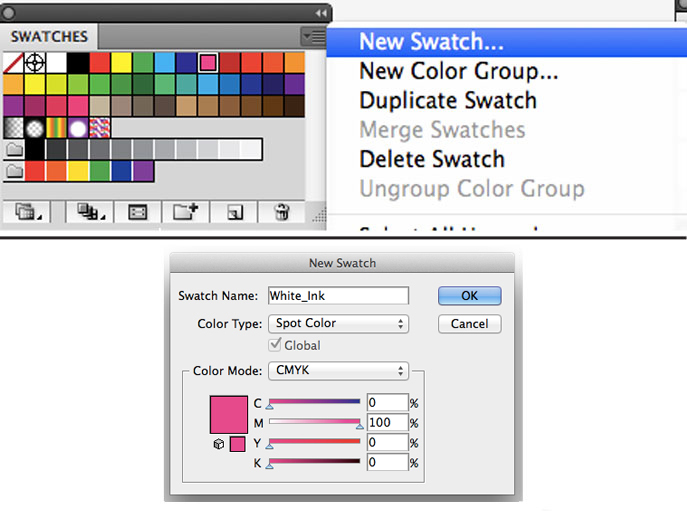 Make a new color swatch. All values and fields must match above in “New Swatch” window. The swatch name must appear as “White_Ink”. 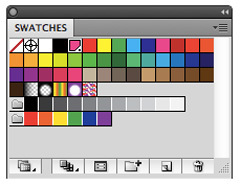 When you are done, the color should appear in your swatch palette like below. Select what you want to have spot white ink. Copy (Ctrl / ⌘ + C) your selection. Then Paste in Front (Ctrl / ⌘ + F). 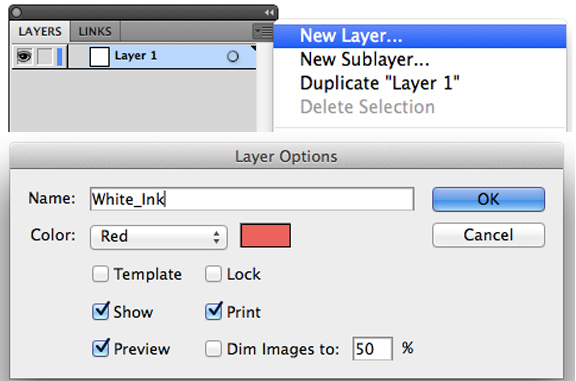 Make sure the “White_Ink” layer is selected as your current layer. 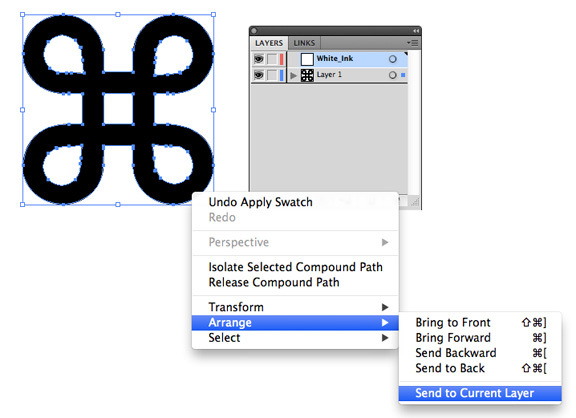 Then right click and move the copy of your selection to the “White_Ink” layer, like below. 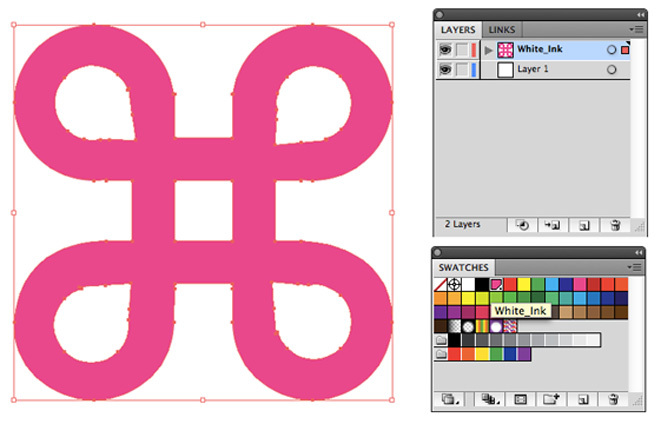 Apply the “White_Ink” swatch to your selected elements. Follow the rest of the prepress guidelines and send us your file! The less complex the white ink layer the better. The “White_Ink” swatch can utilize transparency. Less white ink will be applied to print accordingly. Depending on your art, some gradients and drop shadows that fade to clear will have a visible white edge if applied to a dark surface.